Sometimes, a new pen find provides some pleasant surprises. 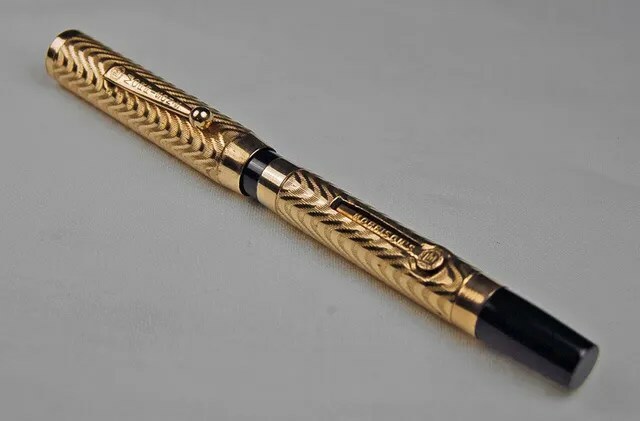 This is such a pen. Sheaffer Skyboy pens were made by Sheaffer in Fort Madison, Iowa in the early 1940s. As you can see, they have a short clip (or military clip) with the word “Skyboy” engraved on it. Military clips were a response to Military Regulations that a pen would be unseen when the pocket flap was buttoned over the shirt pocket. Sheaffer used standard clips and folded them over to form the military clip. The term Skyboy was coined in a time when airplanes were “taking off” and Sheaffer wanted to capitalize on the attractiveness that they had. 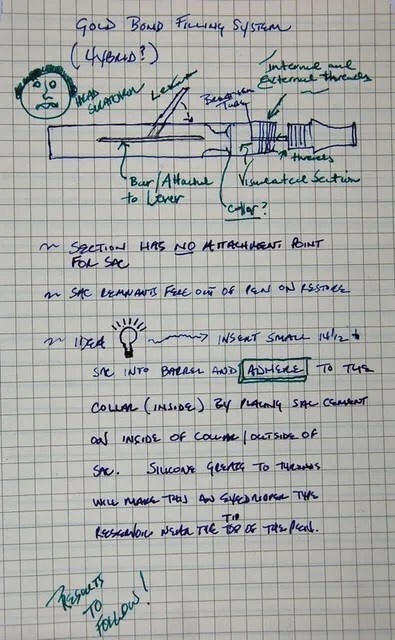 Eversharp did so with the Skyline and Waterman with the Skywriter. 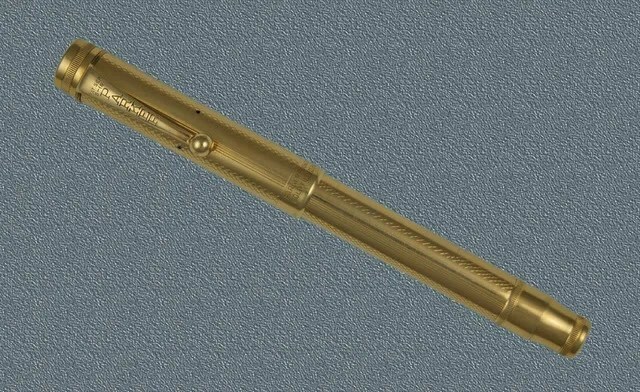 This particular pen appeared in Sheaffer catalogs in 1941. 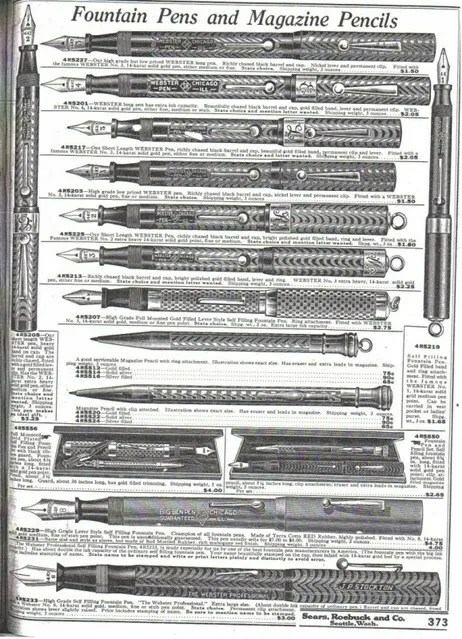 I have also seen a magazine advertisement from this time period for pens similar to this one, called Sheaffer Skyboys, but with standard clips and in red and green striated versions. Apparently Sheaffer went to the military clip after 1940 on the Skyboy models. Here is the pen after I took it apart. This is a closeup of the military clip above the “Lifetime” white dot. Pick your favorite, I do not know. I do know that it was a pleasant surprise to uncover this fountain pen oddity. They seem to appear on pens produced during this period around 1940. The repair was very easy, as I do not believe that this pen was ever used. The white feed would seem to indicate this as well as the clear visualated section. All I needed to do was clean up the nib, polish the clip, band, and lever, and install a new sac as the old one had solidified. Above and below are the finished product. This is one pen that I will probably not use as I don’t want to discolor the unique feed.